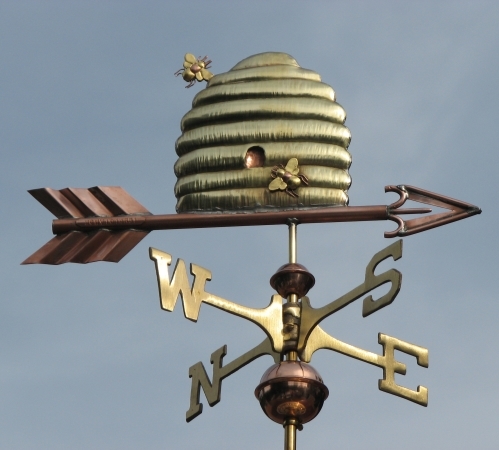 Before the days of milled lumber many societies wove their beehives from the sturdy grasses of their region. 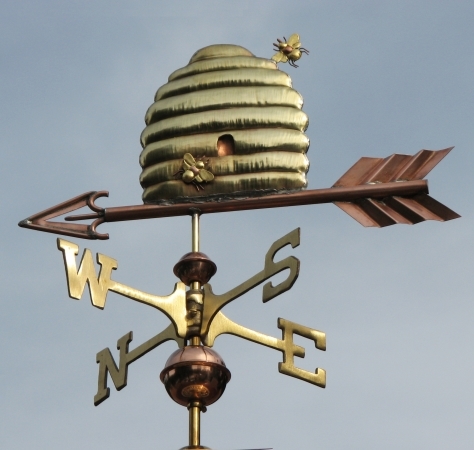 These picturesque hives are called skeps and were exactly the kind of look the customer who first ordered this Beehive Weathervane with Bees wanted for her garden. In fact she ordered two of them! They were mounted at garden fence level for up close viewing, but this visually clear piece also looks very good from a distance. 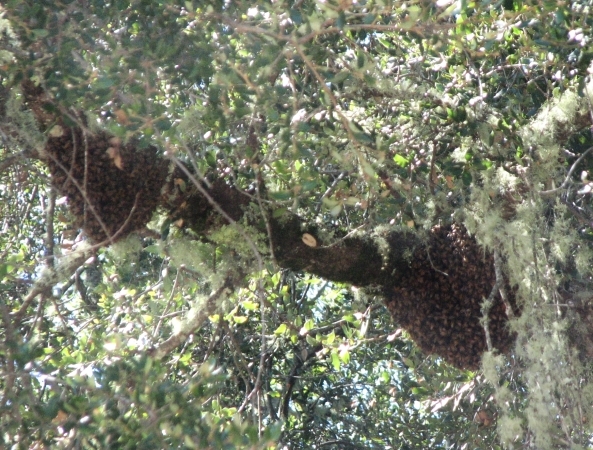 The skep hive is a mirror image piece, meaning it is the same from both sides. 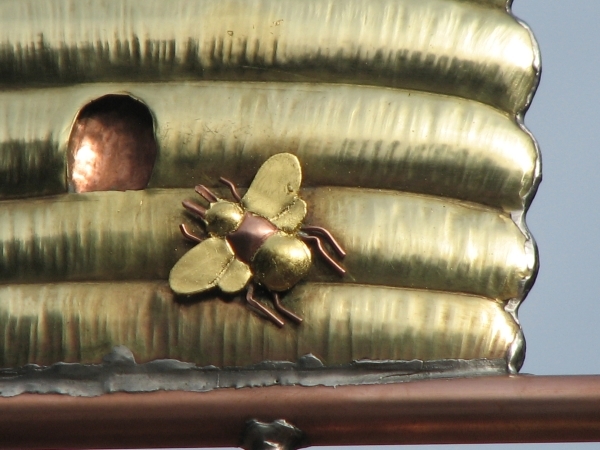 Our customer for the vanes pictured here requested optional gold leaf be applied to parts of the bees. 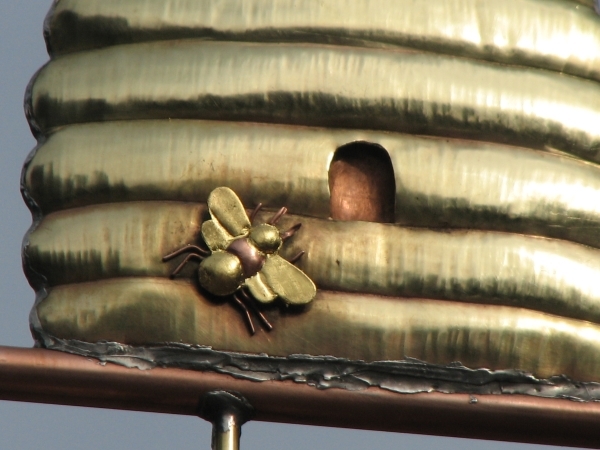 This accent gilding will remain bright for many years as the copper arrow and brass skep weather, first darkening to a chocolate brown, and some years later developing a classic green patina. Precious metal leafing is priced by the amount used. 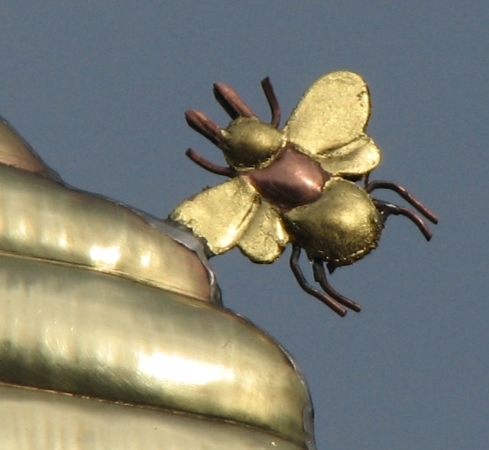 Our wonderful artisans crafted this weathervane from brass and copper sheet in the swell bodied technique, free hand style. 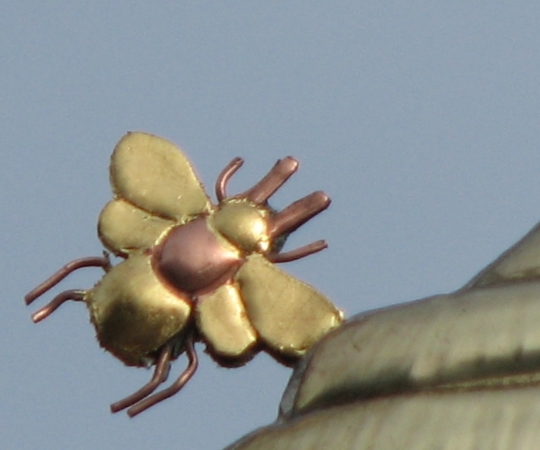 As a result, though every weathervane we make is part of a limited number series, no two are ever exactly alike. 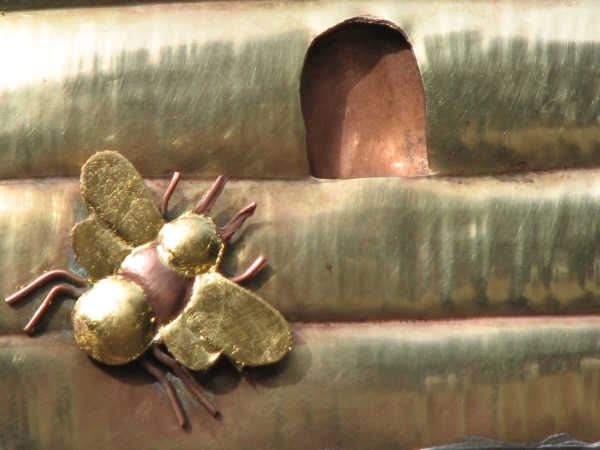 When ordering you will have the option of including Lucky Pennies of significant dates along with the penny from the year of manufacture that will be sealed into your sculpture piece, in addition to selecting any specific areas you would want optional gilding in gold or palladium leaf.